The girl who sits on a throne of fondant, flour and buttercream icing. Approaching Sam Cade’s West Campus apartment door, I smelled the soft scent of vanilla, but it was nothing compared to the rich fragrance that filled the open rooms where Sam Cade was busy at work. As Sam calmly and efficiently piped colorful, creamy frosting onto moistened cake layers, she dished about life, baking and sprinkles. FAVORITE TYPE OF CAKE: Funfetti. 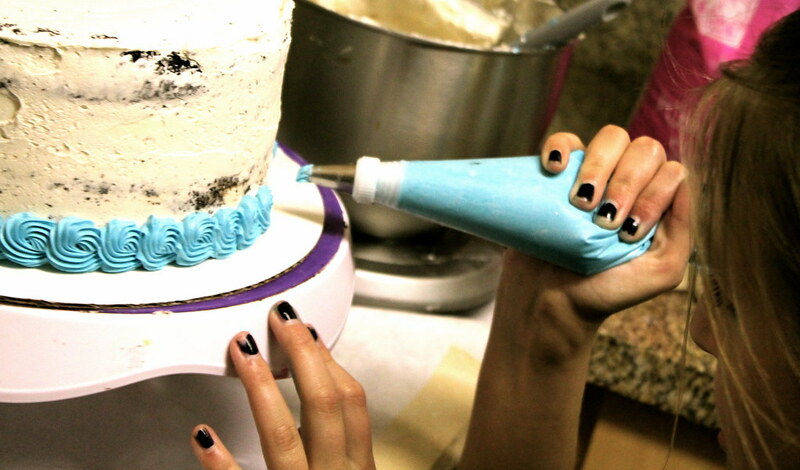 FAVORITE TOOL: Edible glitter & rainbow sprinkles; I love rainbow sprinkles. They are so fun. I order them in bulk! WE MIGHT NOT KNOW… That I love making cookies and brownies, and donuts too. SURPRISINGLY… I don’t like Pinterest because you will see a picture of really good food and then a quote about being fit. Check out foodgawker. It’s like Pinterest for foodies. When did you start baking? 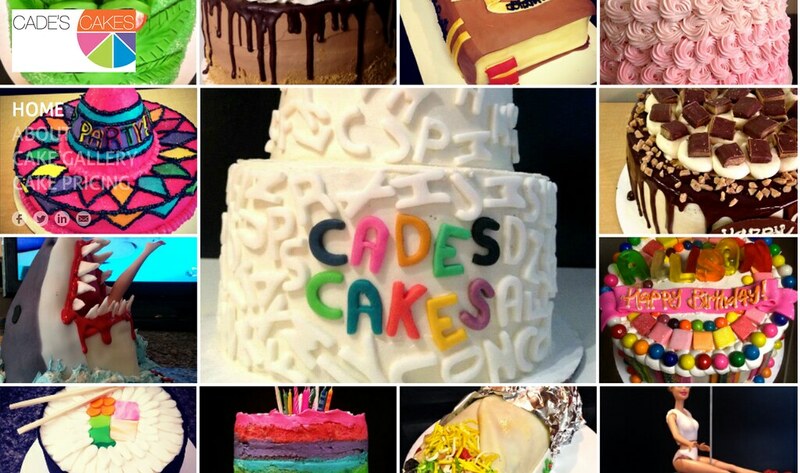 How did Cade’s Cakes begin? I’ve always had the biggest sweet tooth, but I first started selling cakes sophomore year of high school. I started off just making cakes for friends, and my business didn’t really take off until first semester of my freshman year at UT. It spread through word of mouth and my Instagram! It’s crazy how my whole business is from Instagram. Tell me about your recipes. I spent a whole summer developing recipes. I found my favorite recipes and played around with them for months, until I liked them, but they are still changing. I wrote my college essay on the science behind baking. It’s so interesting how all these single dry ingredients can make the final cake product. Where do you see yourself & your business in the future? I’m trying to graduate from UT in 3 – 3 1/2 years because I want to go through the 10-month pastry program at the International Culinary School. Eventually, I want to open a bakery in Dallas. I previously worked at Tart Bakery, and it really helped me see how things in a bakery work. I learned how to meet customers’ requests. Is there a cake you’re most proud of? 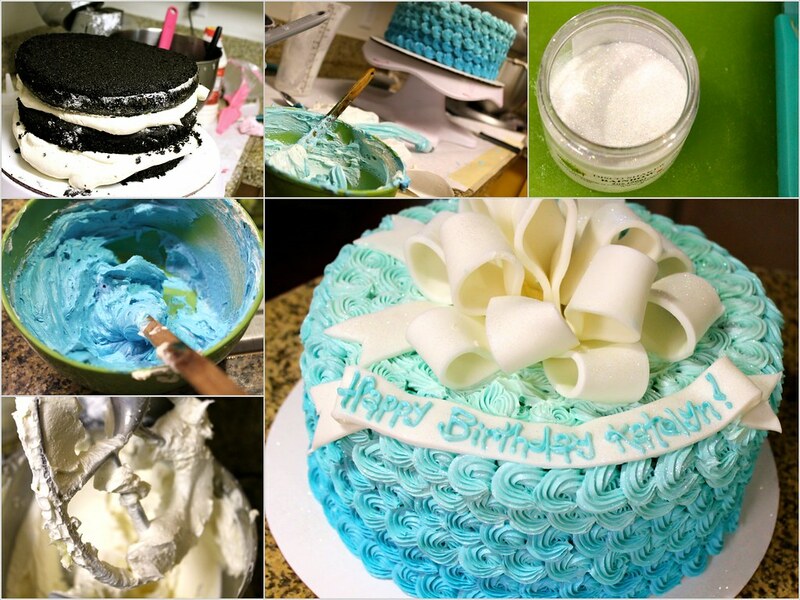 I love doing the food cakes. The UT stadium one was the hardest because the stadium is not symmetrical, and the Game of Thrones cake gets the most attention. Do you get a lot of strange requests? Where do you satisfy your sweet tooth in Austin? GOURDOUGHS! It’s my favorite place to get sweets. And Capital City Bakery is good too. Sam Cade’s story and cakes are far from ordinary. 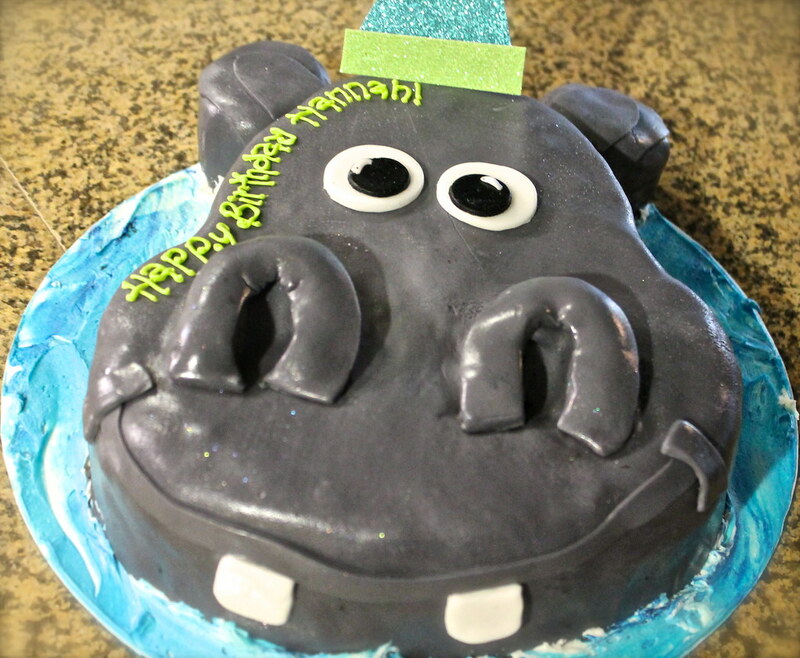 Next time you are in need of a specialty sweet or classic chocolate cake, you know where to go!